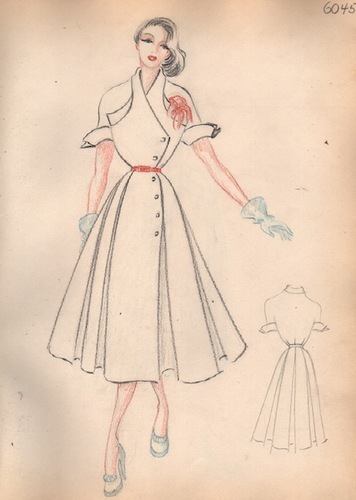 (No place) [Germany]: No printing details, no date (c.1949). Quarto. Unpaginated. 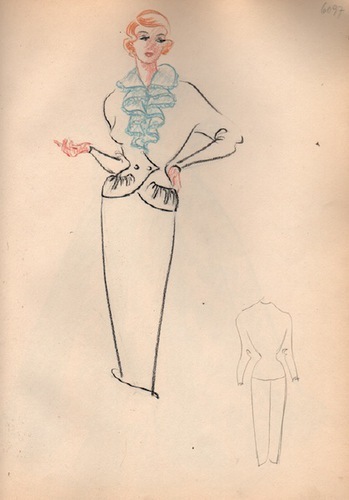 Fascinating manuscript album of German fashion drawings for the 1950 season. 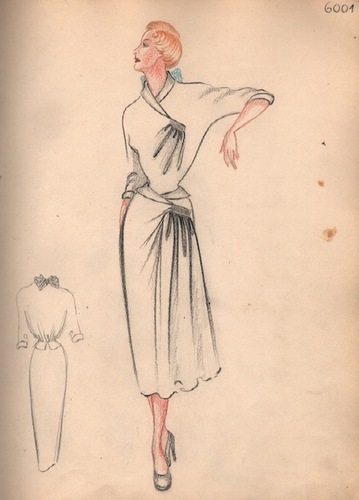 Superb drawings in pencil and crayon executed one per page and numbered consecutively from 6000 – 6100. 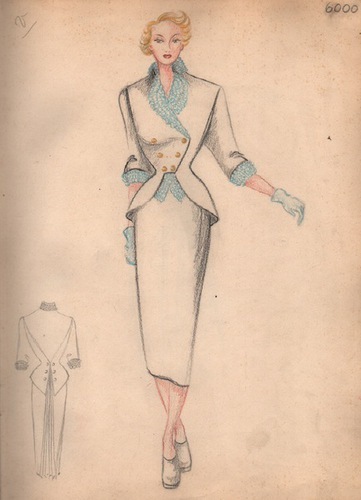 Prior to the war the Berlin fashion houses had been a major force with Scandinavian and Swiss woman favouring their designs over Parisian fashion. 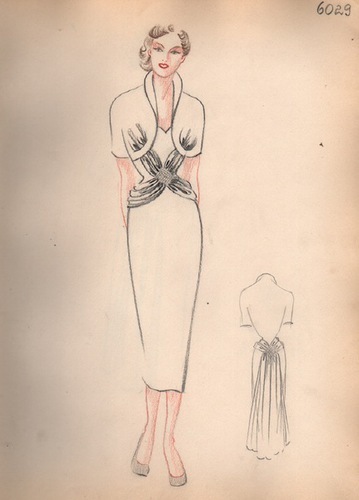 The fashion industry was biggest industries to benefit from the end of the war and the rise of consumerism. 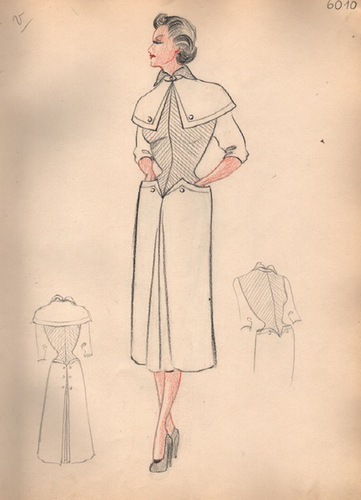 People had grown tired of the clothing restrictions that governments had enacted during wartime, and soon returned to wearing luxurious and expressive clothing. 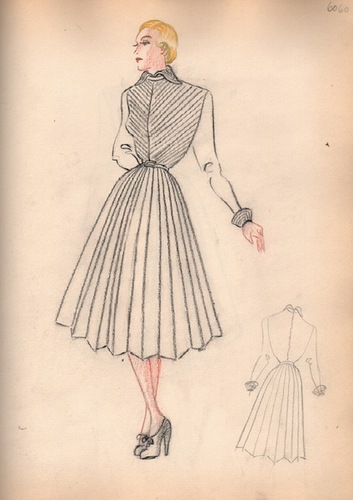 Christian Dior sparked the first rage in post-war design with his New Look of cinched waists and voluminous skirts. 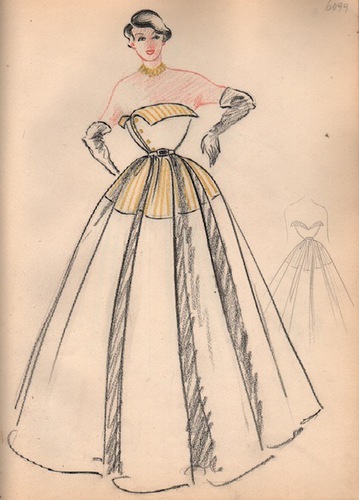 And the designs in this album mirror the mood of Dior turning the page on restriction, gloom, gravity, rationing, and uniforms they give a sense of style, lightheartedness, and a hint of seduction, emphasizing the ladylike expressively feminine appearance of women. 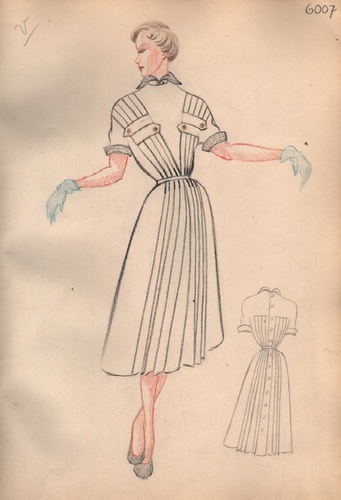 Whilst West German fashion failed to develope its own distinctive style, in the early 50’s, instead being influenced by the triumphant designs of Dior, its fashion industry became one of the glittering facets of the economic miracle and the town of Dusseldorf hosted the biggest annual fashion shows for Womens clothing. 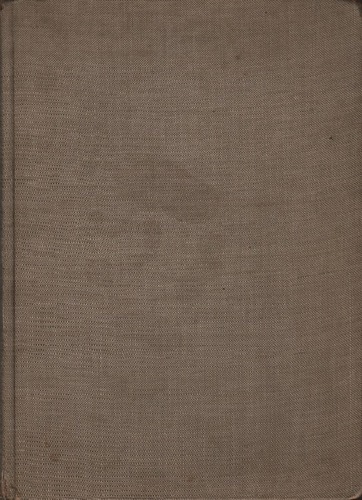 A very good example, bound in beige cloth boards. 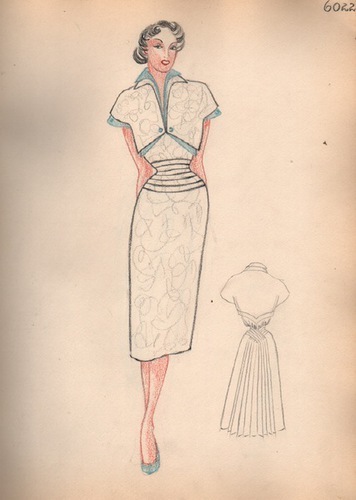 A remarkable insight into the early designs of post-war fashion.